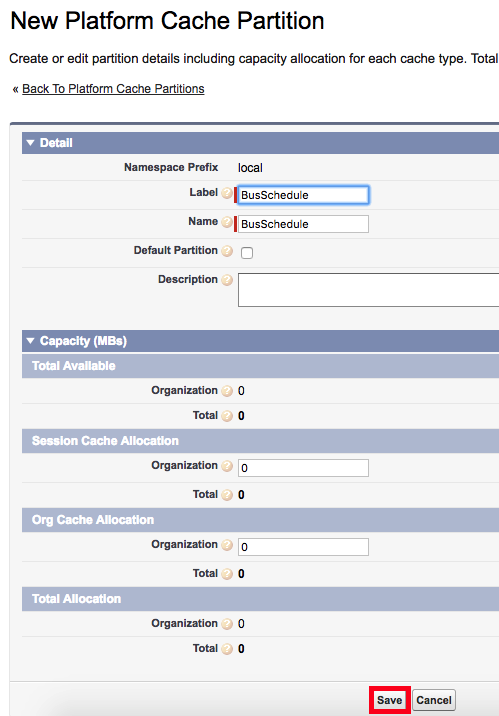 Platform Cache is a memory layer that stores Salesforce session and org data for later access. When you use Platform Cache, your applications can run faster because they store reusable data in memory. Applications can quickly access this data; they don’t need to duplicate calculations and requests to the database on subsequent transactions. In short, think of Platform Cache as RAM for your cloud application. With Platform Cache, you can also allocate cache space so that some apps or operations don’t steal capacity from others. You use partitions to distribute space. We’ll get to partitions later. 1. Go to Platform Cache. 3. Create a New Platform Cache Partition. 4. Save a New Platform Cache Partition. thanks - just saved me a whack of time. How to find Text (Encrypted) usage in Salesforce? How to enable Platform Encryption in Salesforce?